Opening hours: Daily from 10 AM to 12 AM and from 2 PM to 4 PM, after appointment. Opening hours confirmed by museum: n/a. Remarks: This is a small museum, but with a spectaculair history. From the 25 cars in the museum two were previously owned by mr. Michel Dovaz. Eight others are still property of mr. Dovaz, among them the Alfa Romeo 2600 Sprint. Who is this mr. Dovaz? 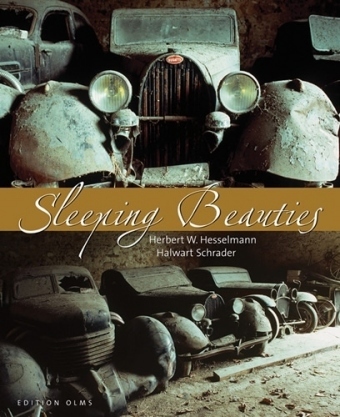 Do you remember the book ‘Sleeping Beauties’? Well, this is him. Mr. Dovaz used to own far more classic cars, he bought them (second hand) shortly after WWII, when they were cheap. Parts were hard to find, fuel supply was limited and most people wanted light weight fuel economical cars. Mr. Dovaz used the cars until they broke down, parked them in a shed or in the garden behind his house and bought another. After a German photographer dicovered these hidden treasures the collection was moved and partly sold. A few can be found in this museum, some of them still unrestored and apart from the moving over to here untouched. Sanxet also produces wine, the Château de Sanxet Millenium (Monbazillac), wine tasting is possible at this location. Bought a bottle of Millennium too – lovely!